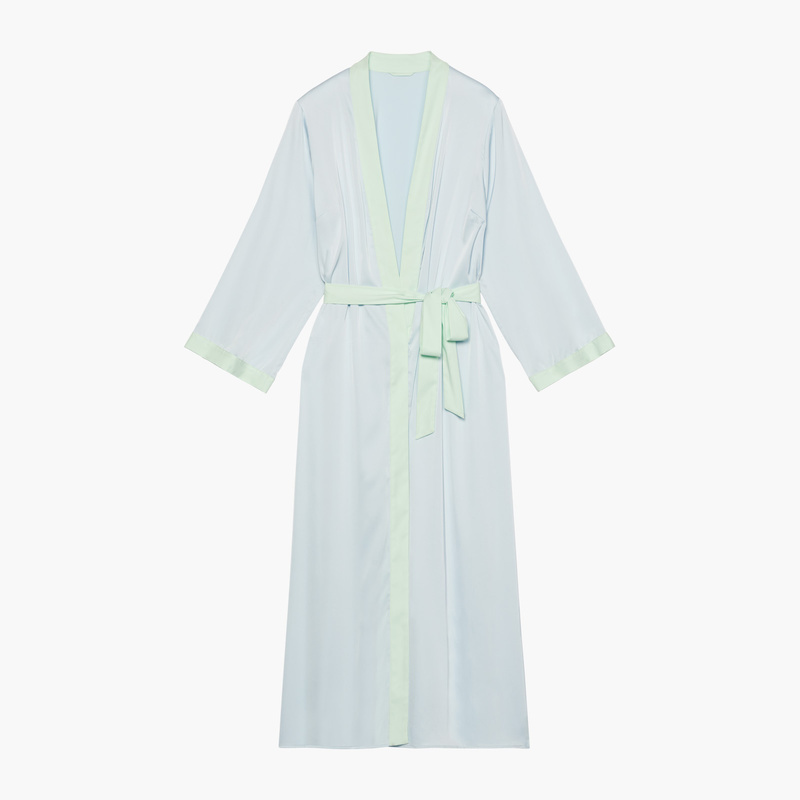 This silky satin maxi robe comes complete with a matching belt. Tie it over our Lace Teddy and a thong or nothing at all. This product was gorgeous. The material is very good and it fits perfectly. I got this as an early Christmas gift and I don't want to take it off lol. You should definitely buy this, and it runs true to size. She loved it and I plan on buying a couple for myself!! I honestly wasn't expecting the robe to be of such a high quality. It is absolutely GORGEOUS! To the point where i will be adding to to my wardrobe and wearing it as a duster. It's just that good. I love this robe! I wanted to find the perfect robe to lounge in and relax. It is so comfortable and soft. Also, its not too hot to wear! Its breathable. Everyone deserves this robe. Fact.